NFL Commissioner Roger Goodell is a master at the public relations game of smoke and mirrors which is akin to blowing smoke up our asses and calling it perfume. During this afternoon’s press conference, he droned on and on in an attempt to obfuscate the fact that the NFL has absolutely no intention to protect NFL wives, lovers, and children from domestic violence by players. It appears the National DV Hotline accepted a bribe from the NFL to create the illusion that the NFL isn’t blowing smoke with their zero tolerance policy. I know thousands of DV survivors, but I don’t know one ~ including myself ~ who was ever helped by the Hotline. By crowing about the NFL’s $100,000 donation to breast cancer awareness in October, he evidenced that he has no clue that October is also National DV Awareness Month or that 1.3 million women experience domestic violence each year in contrast to the 200,000 who are diagnosed with breast cancer. 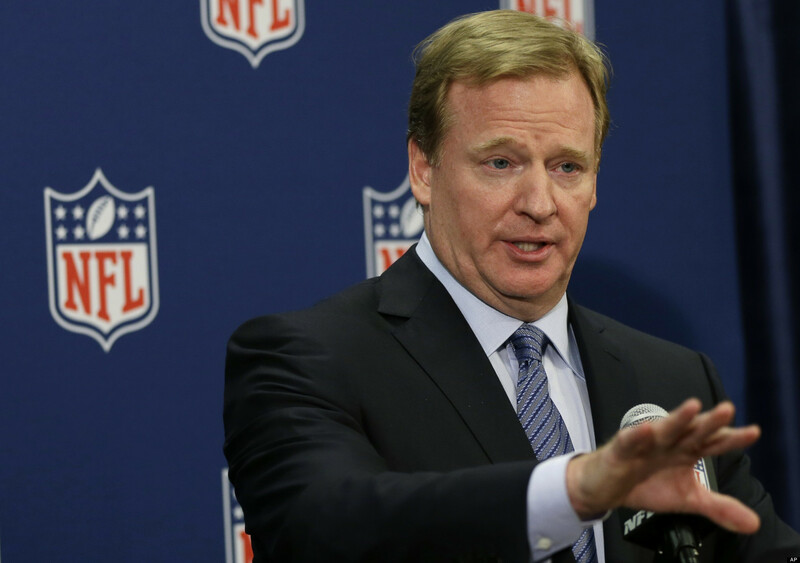 Last week, Mr. Goodell was busy floating plausible ways for the NFL to duck their moral responsibility to confine beatings that players deliver to the football field. One of them that seemed to stick was floated by an NFL players’ representative: a player’s due process rights. Excuse me? The NFL isn’t a government body, and players don’t have any due process rights. Due process rights are why cops are placed on paid administrative leave while cases of police misconduct are investigated. Still, the first thing that happens is that they are forced surrender their badges and guns before they are sent home. In other words, they don’t get to play cop while they are under a cloud of suspicion. This is required to regain the public’s trust. Submit to the scrutiny of the National Network to End Domestic Violence (NNEDV) and cut them a check for at least $1 million. Tell us how you intend to protect the wives, lovers, and children of the NFL players including asking coach’s wives to be actively involved in this effort rather than in telling women to shut the hell up to protect the team’s investment in a player. Stop pressuring the wives and lovers to drop criminal charges. Hire DV advocates and therapists to protect NFL families and help survivors heal from abuse. Suspend players until cases are resolved. Engage in a campaign to instill an attitude of respect for the women and children in a players’ family. Establish a zero tolerance policy which isn’t full of winks and loopholes. Celebrate Rihanna as a DV survivor during October. Mr. Goodell’s intent is clearly to bury this issue until after the Super Bowl and hope that everyone gets so swept up in football that they forget his promise. 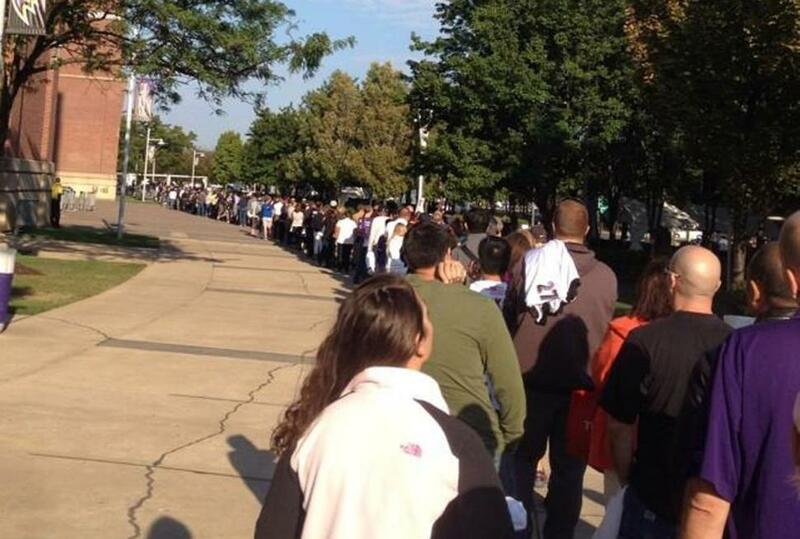 Meanwhile, I applaud the thousands of Baltimore fans who have lined up to return their Rice jerseys. Thanks for your support. If y’all have any more ideas, please leave them in the comment section. My only concern with cutting a check to NNEDV is that the money would then go to bureaucrats rather than DV programs and advocates who know what the napalm smells like. The battered women’s movement has become this hierarchical THING, complete with the DV Elite with stars and bars on their shoulders, but with absolutely NO SENSE AT ALL of what is actually happening on the ground. I vote that the NFL funnels money to DIRECT SERVICE PROVIDERS (the advocates) who are often paid next to nothing but still work their asses off. For them, it’s about listening to and serving battered women, not about maintaining their own places of power, authority, and status. Thanks Carolyn! We need to keep up the pressure and speak long and loud. It’s not just women, it’s children too — the ones who will grow up to be abusers themselves.